Still plugging away as Environmental Manager at Ash Grove in Montana City. They finally split the job and hired a Safety Manager, making me a very happy boy. Living at Canyon Ferry, it's a tough life but someone's got to live it. Jeff BRIGGS Environmental Services Manager has a birthday today. Jeff BRIGGS Environmental Services Manager has a birthday today. New comment added. Jeff BRIGGS Environmental Services Manager posted a message. New comment added. Happy Birthday, Jay. Hope you're doin' well. Have a great day. Jeff BRIGGS Environmental Services Manager posted a message. Hey Old Man, Happy Birthday. Hope you have a great day. Happy Birthday Jay, have a good one! Hey Lyle, Happy Birthday. Hope things are going well. Jeff BRIGGS Environmental Services Manager posted a message on Steve CARRICK's Profile. Hey Steve, Happy Birthday! Have a good one. Jeff BRIGGS Environmental Services Manager posted a message on Mickey PIERCE's Profile. New comment added. Happy birthday, Mickey. Hope things are going well now that you're back home. Look me up if you're heading this way. 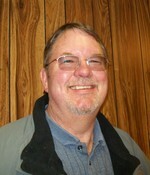 Jeff BRIGGS Environmental Services Manager added a comment on Profile.